God will move your mountains! To remind you daily of how powerful your prayers are, and to thank you for your generous gift of support, let us send our brand-new Hour of Power Prayer Pillow. 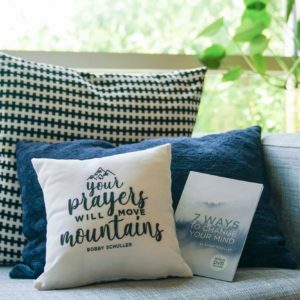 Perfect to place on your couch or bed — or to share with a loved one — the Prayer Pillow will be an encouragement to never give up hope. God hears you, loves you, and will move your mountains! 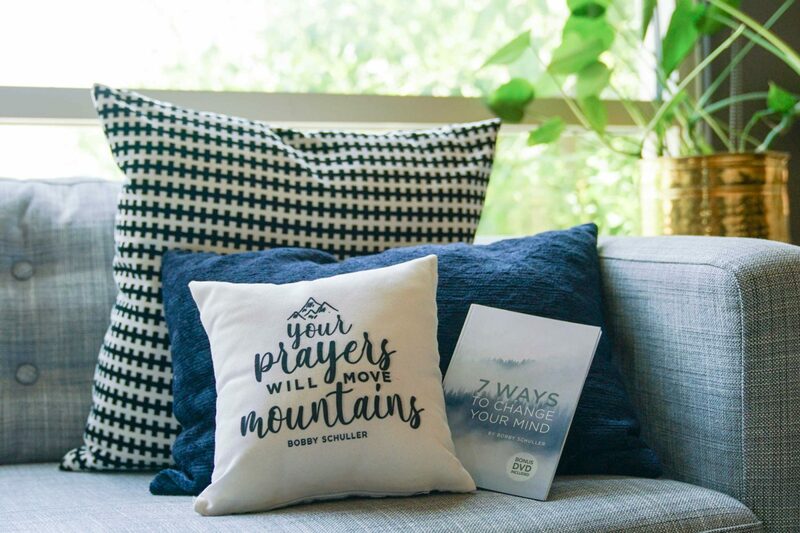 Or, as you’re able to give $50 or more, let us thank you by sending the Prayer Pillow and Pastor Bobby’s encouraging book 7 Ways to Change Your Mind. Especially in times of transition and challenge, choosing to think positively makes a huge difference — increasing our faith in God and preventing sin and shame from clouding our minds. And this resource — includes a DVD of the message As a Man Thinketh — will help you do just that, whatever season you’re in. Your generous support enables the Hour of Power with Bobby Schuller broadcast to uplift people across North America — online and on TV — with the message of God’s love and dignity. Thank you for making it possible! Gift Option Choose an optionPlease send me the Prayer Pillow and 7 Ways to Change Your Mind bookPlease send me the Prayer PillowPlease use 100% of my donation toward the ministry and do not send me any thank-you gifts.